Sacramento's seventh competition is here! Make sure to sign up to reserve your spot! Registration fee is $20, and you are permitted to sign up for all available events. 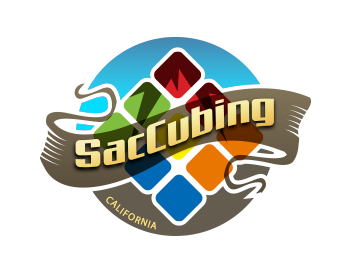 Note: The venue for SacCubing VII 2019 is in a different location compared to previous SacCubing competitions. All competitors must be available to judge/run/scramble for the competition as per Regulation 1e2 and 1f2. All competitors will be expected to help by judging or running for any event they are doing. Nametags will be handed out with all the information regarding what groups you will be competing in and what groups you will be helping in. If you are not competing in an event, you will not be assigned to help during that event. All donations are appreciated and will go towards things such as venue, supplies, etc. After registering, click on "Pay your fees via card". To complete your registration you MUST pre-pay. You will receive an email saying your registration has been approved once your registration has been accepted. This means you are on the competitor list. If after 48 hour you do NOT see your name on the competitors list, then please send an email to the contact on the General Info tab. If you have registered and are no longer able to attend, please let us know as it will open up a spot for another competitor. You are viewing the schedule for the venue La Sierra Community Center. This video will explain most of what any cuber competing for the first time will need to know, however, it is still required that they are familar with the full set of regulations above. At the beginning of the competition, you will receive a name tag with a column labeled "Competing Group" and "Helping Group." When your competing group number is called up, that is when you should bring your puzzle up to compete. When your "helping group number" is called up, that is when you will come up and find an open judging station to help for the duration of that group. If you are required to judge during a certain group and are nowhere to be found, as per Regulation 1e2, you may be disquliaifed from the competition. -Go to the drop-off with your solved puzzle. Live results will be posted on CobeComps. The link to the live results page will be available soon. If you would like to be on staff, which includes priority of solving and staff lunch, please fill out the form here. Please be aware that we will only be selecting a certain percentage of competitors to be on staff, and you will not be considered for staff unless you pay your registration fee. Emails will be sent out to staff members a few days before the date of the competition.